UK studio Mossessian Architecture has won a competition to design Saudi Arabia’s Makkah Museum, a building dedicated to the Islamic faith. 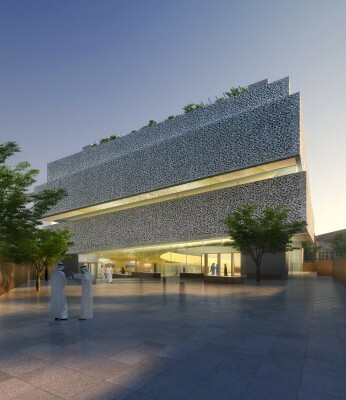 The new building will include 5,600 sqm of gallery space to host exhibitions related to the history of Islam along with a reception area, auditorium, book store, teaching space, roof garden and restaurant, reports www.designmena.com. “The Makkah Museum will offer a unique interpretation and reflection of faith to the millions of Muslims who visit Makkah from around the world and who, up until this point, have had no cultural institution of this kind to enhance their visit to the holiest of Muslim cities,” said a statement from Mossessian. The London architect practice teamed up with Paris exhibition design company Studio Adeline Rispal to enter the invited competition for the museum project. Rispal designed a central void inside the structure to act as a “virtual minaret” that visitors ascend as they move through the exhibitions. 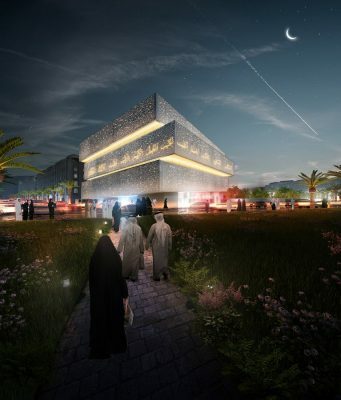 At the top of the building will be a climate-controlled garden space, which is designed to be usable even in the extreme heat of Saudi Arabia’s summers. 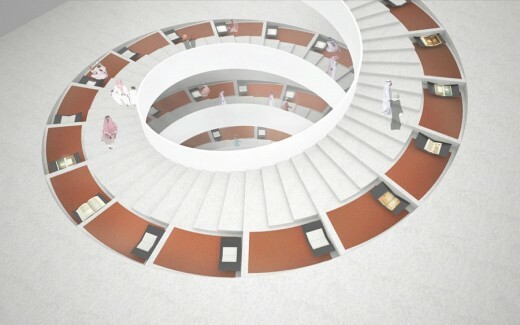 The underside of the spiralling stairs leading back down will be inscribed with the 99 Names of Allah, which will be viewable from a dedicated gallery space at the bottom. The outside wall of the museum will incorporate stone sourced from every country in the world where Islam is currently practiced. Hujaz rock from the mountains around Mecca will be used for the interior. Based in London, Mossessian Architecture was founded in 2005 by architect Michel Mossessian. This design studio has a large number projects currently under way in the Middle East and Africa, including the regeneration of the Place Lalla Yeddouna at the heart of the historic Medina in Fez, Morocco. UK projects include mixed-use towers in London’s Paddington Basin and offices in King’s Cross.